You never know what you might find when you wander! I'm a fan of wandering. Although I like to plan where I want to shoot in any particular city, I still leave wandering time for myself. It's a key part of getting things done, in my opinion. You never really know what you might find when you are milling about somewhat aimlessly. I have captured many a fine photo doing just that. This is a great example. 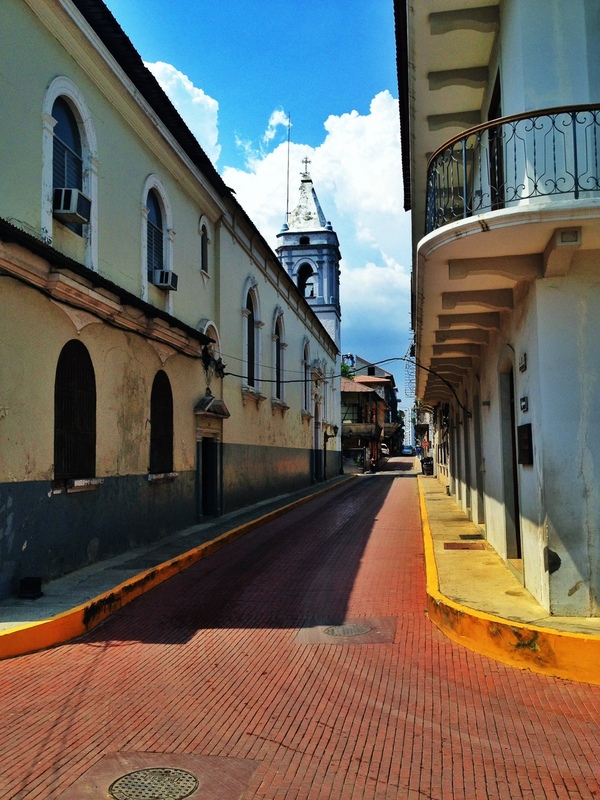 I was in Panama City, Panama and wandering in their Casco Viejo area, which is their historic old city center. 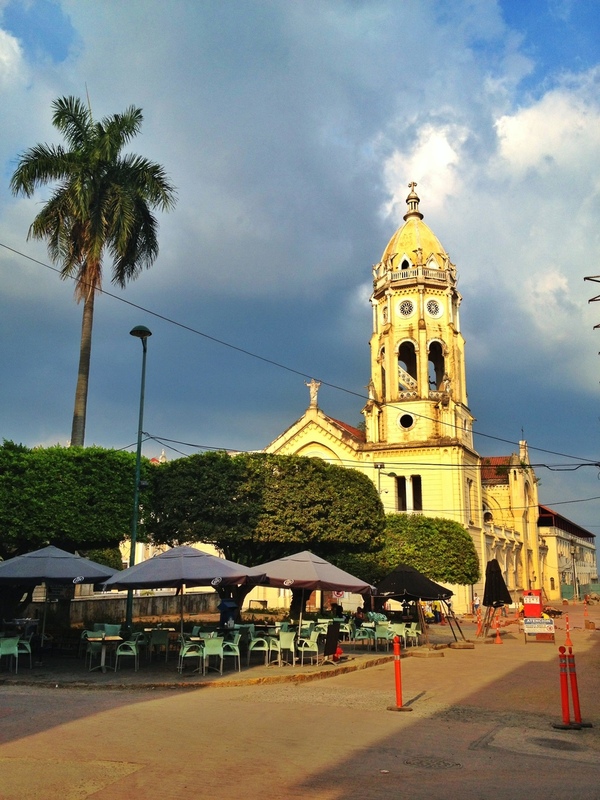 It's a beautiful area full of buildings adorned in the old Spanish Colonial style. I really like it there. I had this church on my list, because I had seen photos of the exterior, but was not at all familiar with what the inside would have to offer. There was some construction around the entrance that day, and a cleaning crew was taking care of business inside, but I stepped in anyways and just started making my way to the altar. I could see if was pretty interesting, and it was definitely worth the stop! That's part of the awesomeness of Color Efex Pro. You can easily brighten areas that need it, increase the detail of specific areas, and make color saturation adjustments too. Powerful stuff! It's been a while since I shared a photo from Panama City, Panama! I was cruising through my library and saw a couple of folders from my two Panama trips, and thought I would get in there and process a little something for ya! So, here it is. This is a partial view of the skyline from their old town area known as Casco Viejo. I really find Panama City, Panama to be an interesting place. On the one hand you have Casco Viejo, which is their historic city center full of Spanish colonial architecture and some absolute poverty, and then just across the water (or around the edge of it, if you walk like I did) you have the gleaming, shiny new face of Panama City. There are so many skyscrapers that seem to just grow overnight. It's pretty impressive, actually. But there is such a difference in these two sides of Panama. One is glitzy, tall, shiny and full of wealth (or so it seems), while the other is covered in stucco or plaster, about 2 stories high at the most, old but historic, and frankly very poor. It's almost hard to wrap your head around these differences. They are polar opposites but live as neighbors. Honestly, I bet it is hard for the older generation there to see the "new" Panama and wonder if it really is an improvement. Either way, as a photographer and/or tourist, I recommend you see both and experience them for yourself. I think you will find it as interesting as I do. 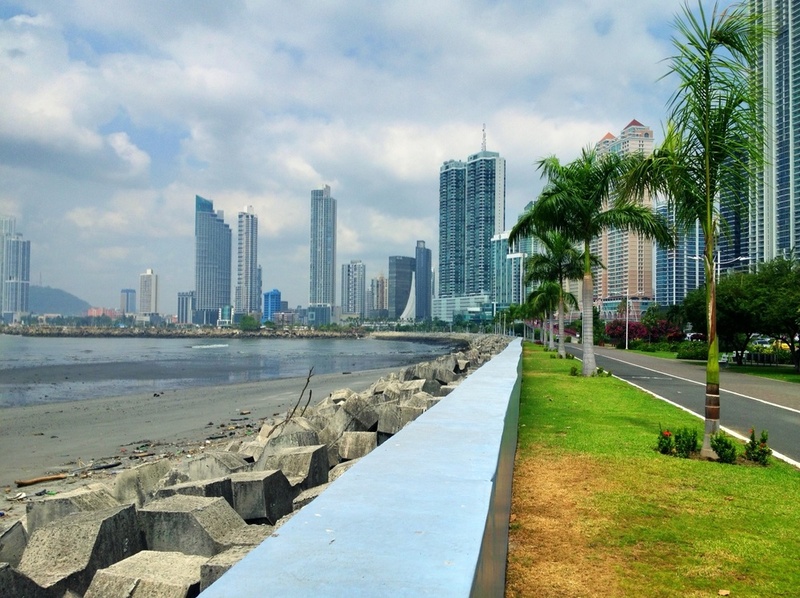 Panama City, Panama is a very interesting city! Have you ever been to Panama? Have you considered it? It's definitely an interesting and beautiful place, though I will admit I am more of a Europhile than anything else. Having said that, I will say that my trips to Panama over the years (I think it's 4 trips total at this point) have been fun, educational, and have given me the chance to take a lot of great photos that I am proud of. One thing that really surprised me on my first visit was the skyline. In one word: WOW! When you are driving around there (and I recommend you hire a driver - no way am I crazy enough to drive myself there!) the first thing you see is this massive skyline which seems to sprout out of nowhere. The other thing you notice is the abject poverty which exists side by side with such obvious display of wealth. It's interesting, like I said. There is also a coastal strand with a walking/biking path which winds its way along the shoreline, between the water and the skyline. It's called the Cinta Costera, and on my last visit I decided to head out and wander along the strand for a while. I went through a fish market and ended up at their old town area known as Casco Viejo. It was crazy hot and humid, but it was great to see the city on foot. I grabbed this shot near the beginning of my walk. I was in Panama City, Panama a while back and had the opportunity to get out and shoot around sunset one evening. I grabbed a cab from downtown Panama City and headed out to the Amador Causeway, which stretches out into the sea a bit and provides a nice view back toward the town in one direction and a view towards the Panama Canal in the other direction. I chose the canal view. Having arrived early, I grabbed a quick dinner and then as the light began to change, I hurried up and started walking along this little bay. What you are viewing here is technically the Pacific Ocean (Panama City sits on the western side of the country) though it’s known here as the Gulf of Panama. This is the mouth of the canal, so to speak, and the Miraflores Locks begin several miles from this point, way around the bend to the right. You can always spots ships lining up, getting ready to change oceans. Miraflores Locks is probably the most popular place to see the canal, since it is closest to Panama City. While viewing the canal is something worth doing, viewing the actual movement of the ships through the canal is pretty uneventful. It’s slow, for starters...and it takes a while. But it’s fun to say you did it - and I did! Sometimes I find that wandering just pays off in a huge way. This is a perfect example. I was wandering in Casco Viejo, which is the old town section of Panama City, Panama. I had marked some key spots to photograph - some churches, plazas, etc. But what I did not anticipate was this spot, which is the National Theatre of Panama. Usually these things are closed during the day, which is when I was there. But on this day, I walked up, tried the door, and it opened...so I let myself in. I shot like crazy in there, and it’s beautiful. I have a lot of shots to get to from that spot, but wanted to start with this one, which is actually just a side room which I assume is used for dinner functions, etc. Isn’t it beautiful? I spent last week in Panama City, Panama - my second trip there in 6 months. It’s a very interesting city, with all the fancy skyscrapers jutting out of seemingly nowhere, and the absolute poverty surrounding it. Although I like it, I am not sure what to make of the place. It’s both rich and poor - vibrant and dirty - busy and calm - beautiful and ugly. It’s all the good and bad of progress wrapped into one. Like I said above, it’s very interesting. I think I will stick with that as a description. While I haven’t had time to process my Nikon shots (though you can see my previous shots from Panama here), I did want to share a little iPhone summary of some of the sights that I encountered there. Plus, I haven’t shared an iPhone post in a while, and I like to do so. I have a huge backlog of iPhone shots, so there’s no time like the present. Hope you enjoy them! This is a view down the Cinta Costera, their walkway along Panama Bay...I spent a couple of hours walking here down to their old town known as Casco Viejo. And of course, no visit to Panama is complete without the Panama Canal. This was a sunset I shot there, looking out towards the canal. It was a beautiful evening! Thanks for stopping by and I hope you enjoyed the tour! 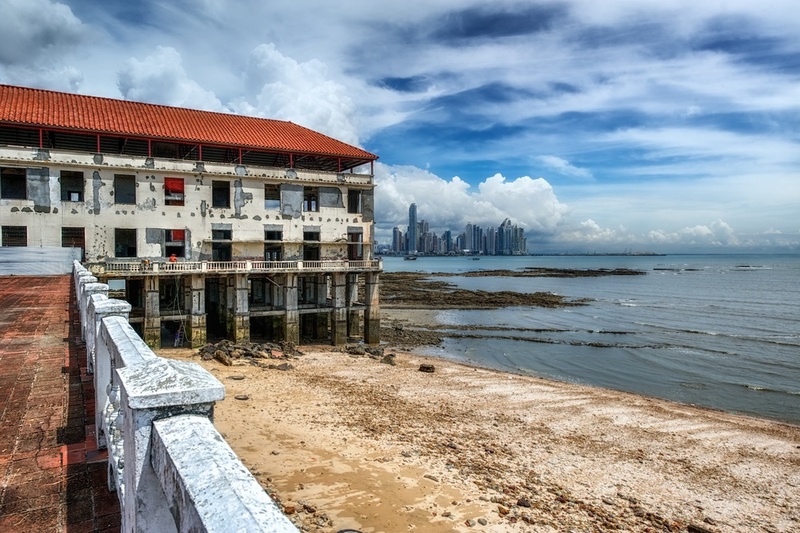 Here’s another Panama shot for this week - this time it’s the skyline from their old town known as Casco Viejo. The skyline there is stunning. I have heard it described as the Dubai of Central America. Though I haven’t been to Dubai, I think that is a fitting description. The skyscrapers here just seem to rise out of nowhere, and there are a bunch of them. It’s impressive to see in person, and fun to photograph! On each of my visits, there always seems to be rain clouds hanging around, which in my opinion are helpful since they add some more interest to the sky. Of course, I have been rained on there too, and that's no fun. But it never seems to last too long, so I can get back out and shoot all the cool stuff in this interesting city. I loved the look of this scene, with the old cars and the fabulous clouds in the sky. Looking at it now, it makes me think that this scene could easily be mistaken for Cuba (based on pics I have seen - I haven’t been to Cuba). I also thought that old green VW van added a nice element to the shot. Ok, after a couple of beautiful sunset shots, how about a little historic architecture? Change is good, yes? 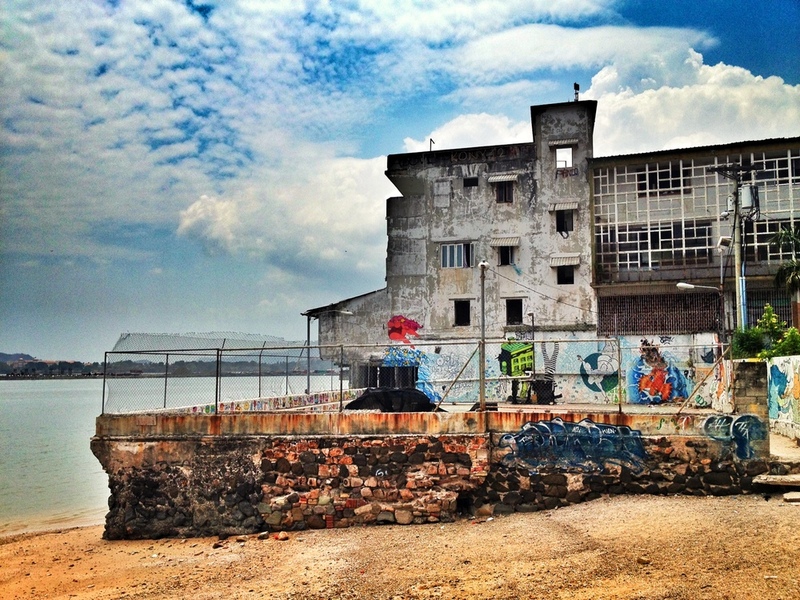 I grabbed this photo while I was wandering in Casco Viejo, which is the old historic part of Panama City, Panama. The area is full of all sorts of interesting things to point a camera at: beautiful churches, ruins and slums, a gorgeous theatre and this empty shell of a building. The gate was slightly open - as you can tell - and so after firing these brackets I walked inside. Why not? It wasn’t locked, so you would walk in too, wouldn’t you? I will be back in Panama in the not too distant future and look forward to taking a lot more photos of this beautiful place.